Genetically engineered (GE) foods, sometimes referred to as genetically modified foods (GMO foods), are foods that are derived from scientific methods used to introduce new traits or characteristics to an organism. 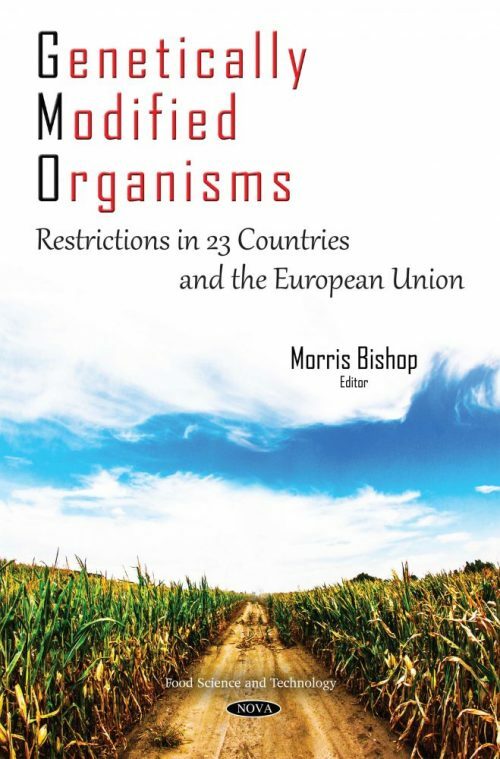 This book discusses the legislation of genetically modified organisms (GMOs) and genetically modified (GM) plants and foods in Argentina, Belgium, Brazil, Canada, China, Egypt, England and Wales, France, Germany, Israel, Italy, Japan, Lebanon, Mexico, the Netherlands, New Zealand, Norway, the Russian Federation, South Africa, South Korea, Sweden, and the United States. The European Union and International Protocols are also examined. This book summarizes enacted laws on the cultivation and sale of GMOs, as well as public opinion on GM products. A selected bibliography is included. Furthermore, the book examines legal issues with federal labeling of GMOs.